Ross called the US trade deficit "blameful and shameful," in many cases due to protectionism. He also said he expected Chinese officials to raise the issue in talks in Washington this week on behalf of the company that was cut off from US technology products for violating US sanctions against North Korea and Iran. "ZTE did do some inappropriate things. The question is are there alternative remedies to the one that we had originally put forward," Ross said following a speech. "And that's the area we will be exploring very, very promptly." ZTE was fined $1.2 billion in March 2017, but last month it hit with a steeper sanction, prohibiting US companies from supplying it with needed parts after the Commerce Deparment found the company lied multiple times and failed to take actions against employees responsible for sanctions violations. "This egregious behavior cannot be ignored," Ross said at the time. But President Donald Trump made a surprise announcement on Twitter on Sunday, offering to intervene to prevent the company from shutting down. "President Xi of China and I are working together to give massive Chinese phone company ZTE a way to get back into business, fast," Trump tweeted. That move stunned many observers due to the president's unusual if not unprecedented move to intercede directly in a law enforcement matter. A 'blameful and shameful' deficit? 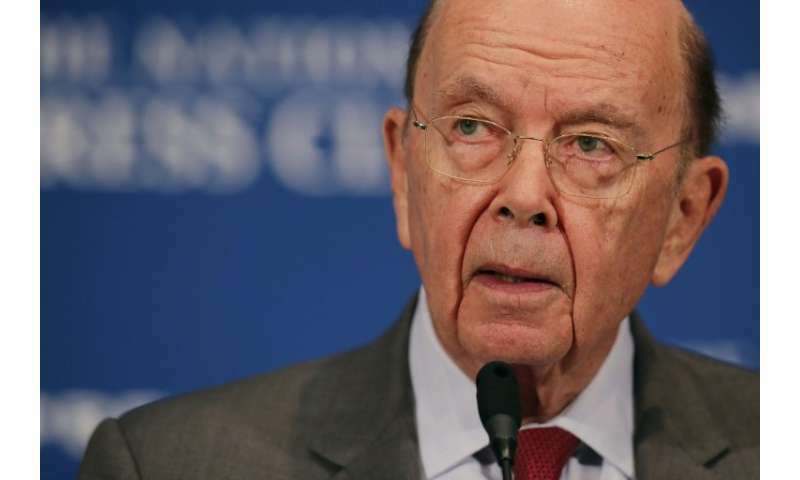 Ross himself said while he expects Chinese officials bring up the issue this week, "our position has been that that's an enforcement action separate from trade." Vice Premier Liu He—considered President Xi Jinping's right-hand man on economic issues—led talks with Ross and a senior US team in Beijing early this month, and will head the Chinese delegation to Washington this week. The officials will try to find a way to head off a major trade battle after the United States threatened to put tariffs on as much as $150 billion in Chinese imports, while Beijing has targeted $50 billion in US goods in the dispute over China's failure to protect intellectual property rights. "The gap remains wide," Ross said, but added that he remained hopeful that the strong personal relationship between Trump and Xi would "facilitate an agreement, just as it seems to be doing with regard to North Korea." He dismissed claims the dispute could erupt into an all-out trade war that could cut US economic growth and create inflation, because "we simply don't export to them." "There is no real world circumstance where China could cut our GDP" by one percent. He repeated the Trump administration's arguments that the open US economy has been exploited by China, Europe and other trading partners, despite promises from those governments remove restrictions on US goods. He called the US trade deficit "blameful and shameful," in many cases due to protectionism.